The staff at Fire Pit Art handcrafts the amazing Third RockÂ© using Â¼-inch mild carbon steel. They cut out the continents and leave the bodies of water, allowing the fire to shine through the openings in the sphere. While 2018 marked the third straight year I attended Design & Construction Week, the shows that combine to make up the event – the Kitchen & Bath Industry Show (KBIS) and the International Builders Show (IBS) – once again did not disappoint. 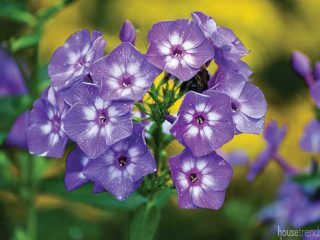 I saw brand new products and celebrity presenters from the largest manufacturers in the world, as well as items I had never seen before from smaller companies trying to make a name for themselves in the crowded home and garden space. 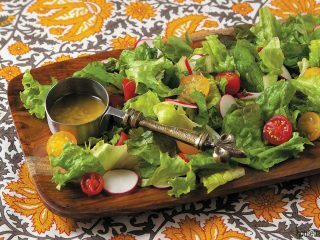 What follows is a list of some of the products that grabbed my attention during my visit to the Orange County Convention Center in Orlando for the industry’s largest annual showcase. 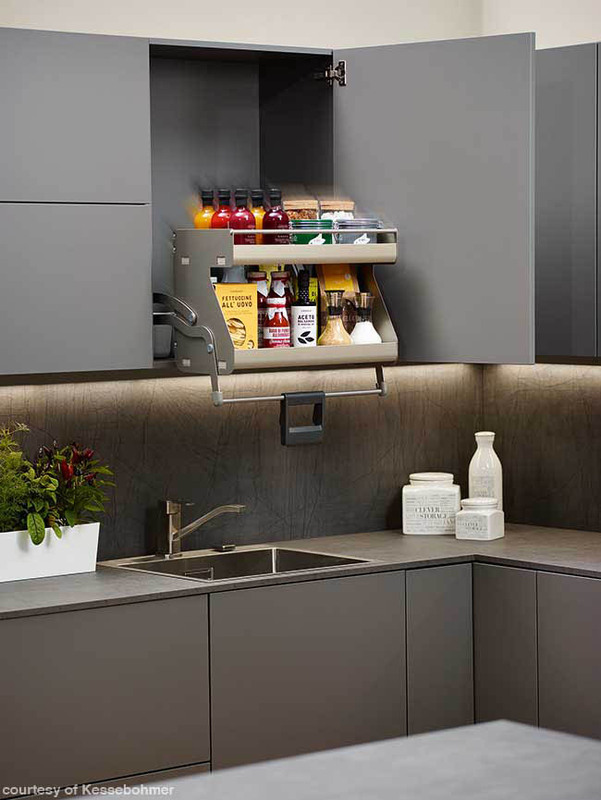 Designed and built in Germany, Kesseböhmer products offer a variety of sleek and functional kitchen storage solutions. The one, in particular, that caught my eye at the show was the iMove. A recent addition to the Kesseböhmer line, the iMove is a shelving system for wall cabinets with a handle that allows the user to pull the shelves down and toward them – making reaching everything in the cabinet easy. 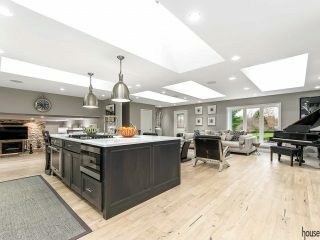 The latest product from Monogram, GE’s luxury appliance line, is still a work in progress, but I was among a small group of designers and media members who got a sneak peek. 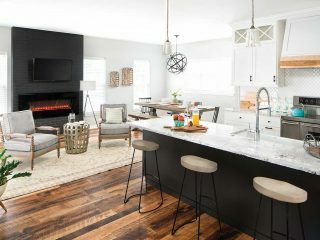 The Monogram Island, which has a 94-inch by 43-inch profile, will take the place of a standard kitchen island and offer an array of possibilities. 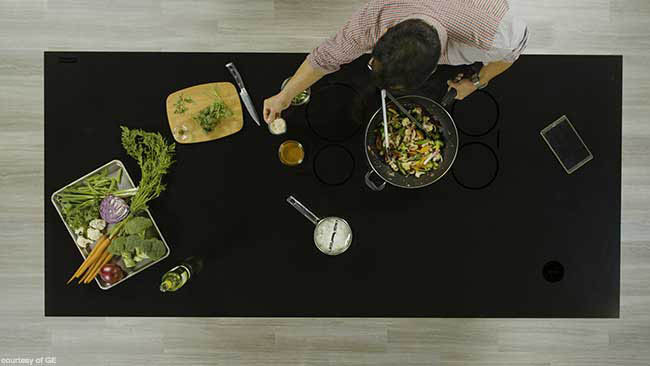 It has a glass-ceramic surface complete with five induction cooking elements, digital touch controls, a warming zone, pan presence sensors that heat to the size of the cookware and shut off when none is present and a wireless charging zone with Qi inductive technology for recharging mobile devices. An optional wireless cooking probe will also be available. The goal is to create a place where the whole family can gather, whether that be to cook, do homework, recharge those devices or simply chat. You can expect the first commercial units to arrive this fall. 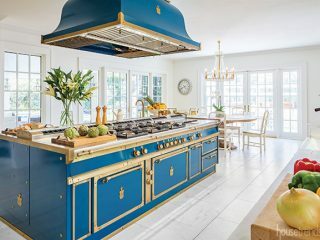 SMEG, the Italian maker of luxury appliances, made the United States debut of their Sicily is my Love collection at the show. This collection, which includes toasters, blenders, mixers and more, is a result of SMEG’s collaboration with Dolce & Gabbana. The hand-painted items have beautiful bright colors while pointing to the companies’ shared Italian heritage. 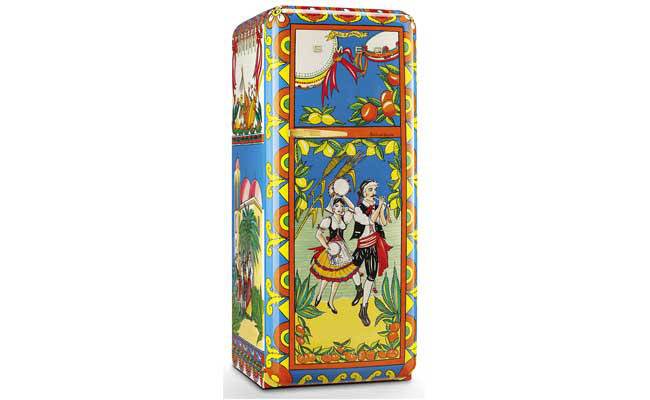 Also on display was one of the 100 SMEG x Dolce & Gabbana refrigerators created during this same collaboration. Some of these one-of-a-kind refrigerators are available in the U.S. through Neiman Marcus for $50,000. 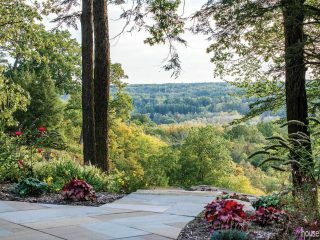 If you want to add a show-stopping piece to your outdoor space, take a look at this. 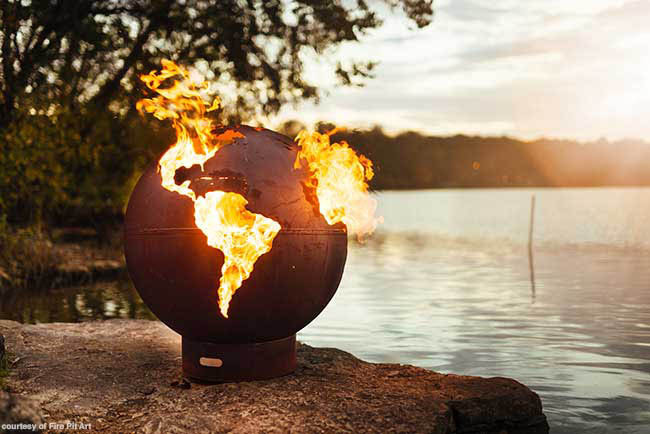 Based in Lebanon, Tennessee, the staff at Fire Pit Art handcrafts the amazing Third Rock© using ¼-inch mild carbon steel. They cut out the continents and leave the bodies of water, allowing the fire to shine through the openings in the sphere. This fire pit is typically 36 inches in diameter, 40 inches high and weighs in at a solid 275 pounds. However, if you need to go bigger, Fire Pit Art can do that, too. Earning the Best of Show award at KBIS was the Grid faucet from Kallista, a division of the Kohler Co. This striking yet simplistic faucet is brought to life by 3D printing technology. 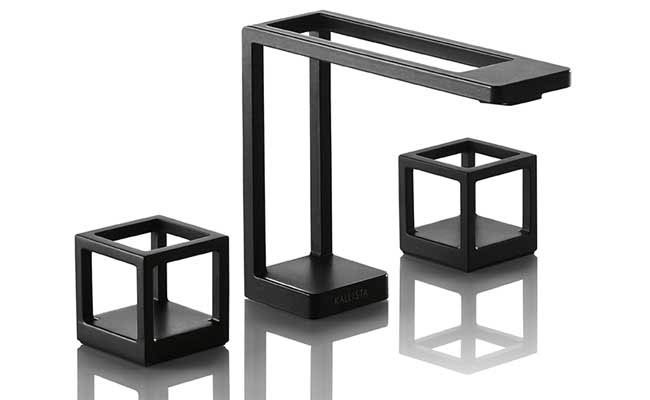 Featuring a lightly textured matte black finish, this sleek and durable faucet will be available this summer. 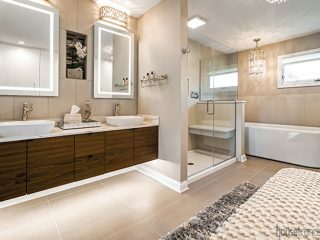 This unique product is a new item from New Jersey-based SomerTile. These porcelain tiles, which represent “patterned reflections of snakeskin scales,” are hexagons that can be used on a floor or a wall. The Reptile Hex Colours Mix has “41 different textured designs that come together to create varying patterns when arranged together.” The tiles are made in a range of colors, including cobalt blue, creamy beige, emerald green, violet and more. 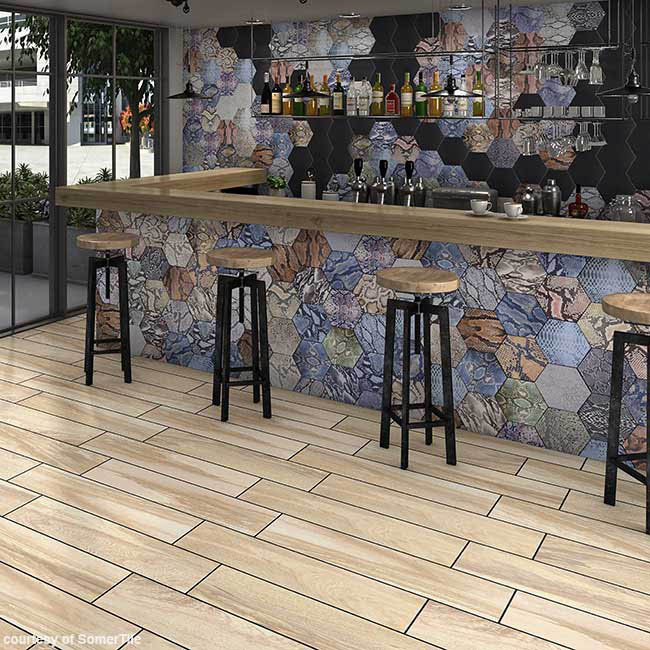 Regardless of the application you choose for these tiles, they surely will create a wow factor in your space. 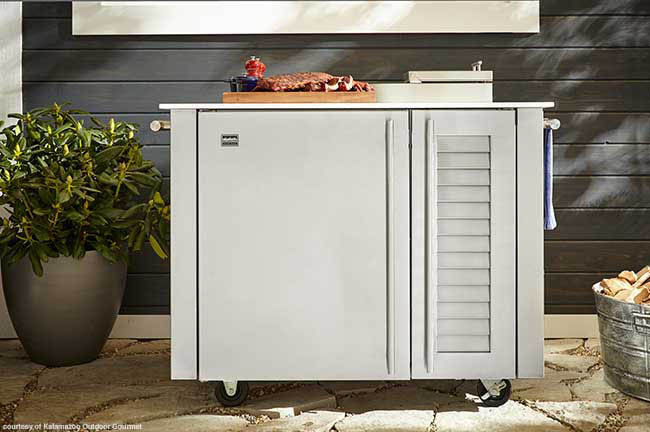 The Smoker Cabinet from Kalamazoo Outdoor Gourmet is available as a built-in under-counter unit (the first of its kind) or as a freestanding cart. The portable cart version, which looks like a small kitchen island for your outdoor space, can easily be moved. 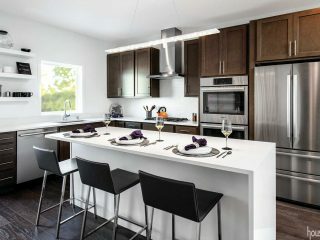 The Smoker Cabinet utilizes gravity-fed charcoal, resulting in simple temperature control and efficient heat delivery. Kalamazoo Outdoor Gourmet says, “Thanks to thoughtful engineering, a single, seven-pound load of charcoal can maintain an ideal 225°F smoking temperature for up to 16 hours.” The hardest part may be deciding what to smoke first. My time at the show was winding down, and, frankly, I was making my way out of the Orange County Convention Center when I was stopped in my tracks. 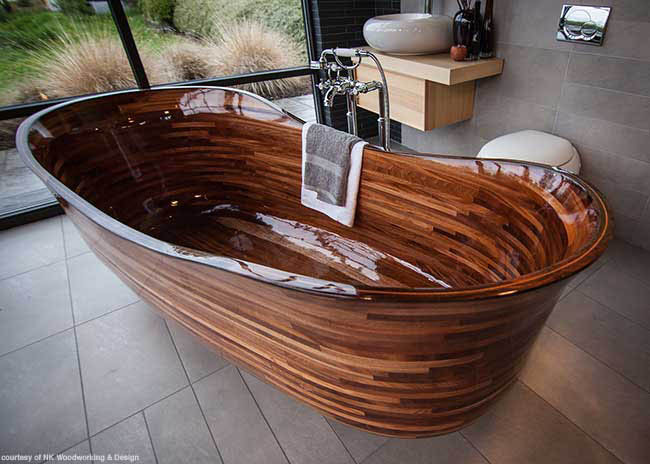 A gorgeous bathtub, part of the Lotus Bath Collection by NK Woodworking & Design, was like nothing I had seen before. 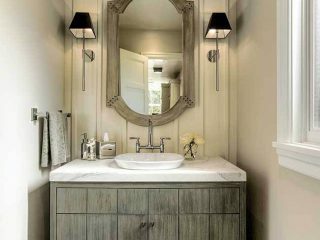 These bathtubs are handcrafted from sustainable hardwoods and finished with a specialized clear composite barrier. The look is simply amazing. 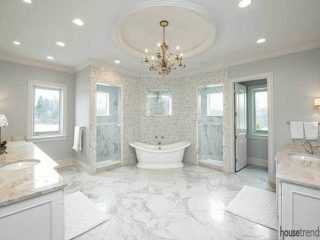 Functional works of art, the bathtubs were designed by Nathie Katzoff of NK Woodworking & Design, fabricated at NK’s shop in Seattle, Washington and can be shipped anywhere.